At Quoditch we have all seven of the British family. 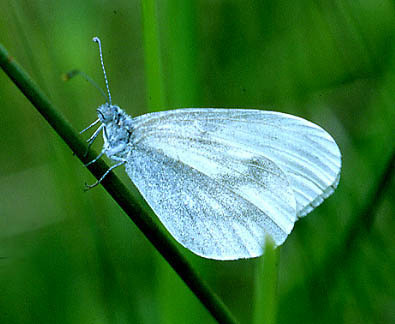 The Wood White is confined to southern England and Ireland. 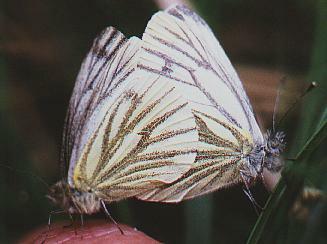 The Irish whites have green hindwings whilst the English are grey. The chrysalis of the wood white can be found on Buckthorn. It's a member of the Dismorphinae family. Only three of the 101 members of this family are found outside South and Central America. It has a weak and fluttery flight. The books tell us that it confines itself to the thickest and shadiest parts of woodlands, but ours seem different in that they come out into the fields. These usually appear in May , but sometimes there is a second brood in July. 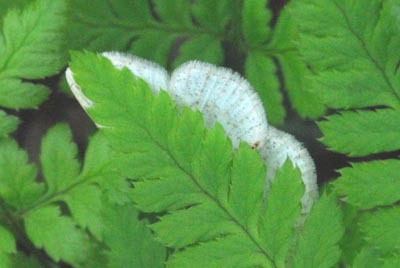 They hide away under leaves when not flying. 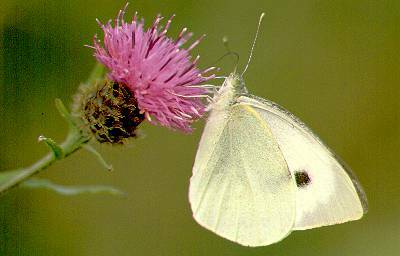 The Wood White lays its eggs on vetches and Bird's Foot Trefoil, of which we have plenty in fields one and four. usually it chooses a plant that is taller than its surroundings such as this one in Field Three photographed in early June 2007. A few years ago these were found in almost every garden. So far we have seen very few on our land. We see these occasionally at Quoditch, but again John Richmond has come to our rescue with this photo. Here is a mating pair. 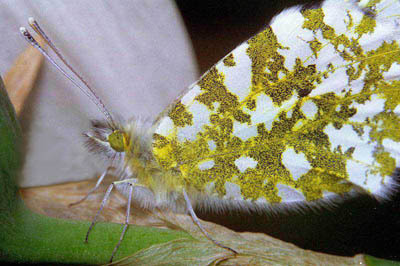 At last we have managed to get a picture of an Orange Tip. But its not from Quoditch. Our thanks to Derek Locke of Gloucester for allowing us to use his picture. 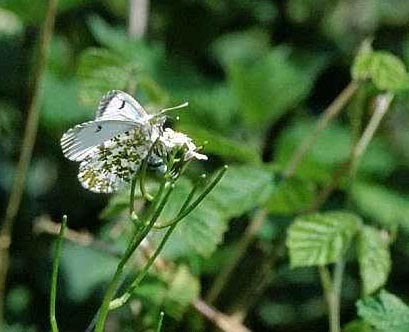 The Orange Tip's appearance shows that the better weather is on its way, for it is one of the first to appear each year. very often they greet us at the front gate. Here is a female, also from Derek. 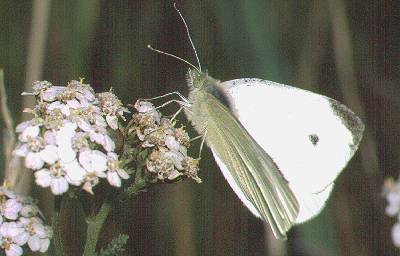 The female lays her eggs on Cuckoo Flower (Lady's Smock) (cardamine pratensis). 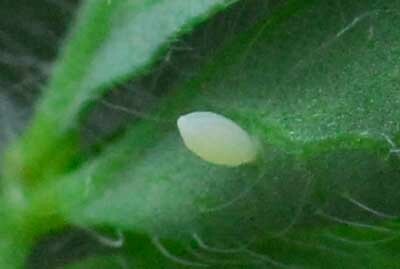 Usually only one egg is laid on each plant. 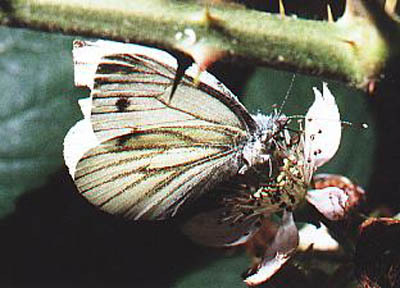 The female also leave a pheronome to drive away other females. 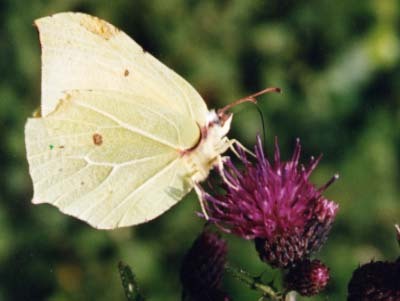 The Clouded Yellow visits us occasionally but, as yet, we haven't managed to get it to stay still, so this photo , by John Richmond, was taken elsewhere. In 2006 we visited S W France near Bordeaux. 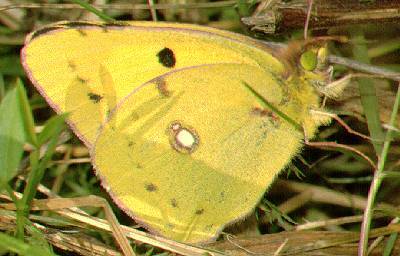 We saw several Clouded yellows and they appeared to be flying in from the sea onto the beach. Also earlier that year we made several visits to the far west of Cornwall and saw lots on the cliff edges there as well. In 2007 we even spotted one not far from Plymouth Hoe! Usually the first butterfly we spot each year. This one overwinters as a butterfly, so the early spring sun will bring it out in the woodland glades.